The Cisco® Networking Academy® course on CCNA® Security provides a next step for students who want to expand their CCNA-level skill set to prepare for a career in network security. The CCNA Security course also prepares students for the Implementing Cisco IOS® Network Security (IINS) certification exam (640-554), which leads to the CCNA Security certification. 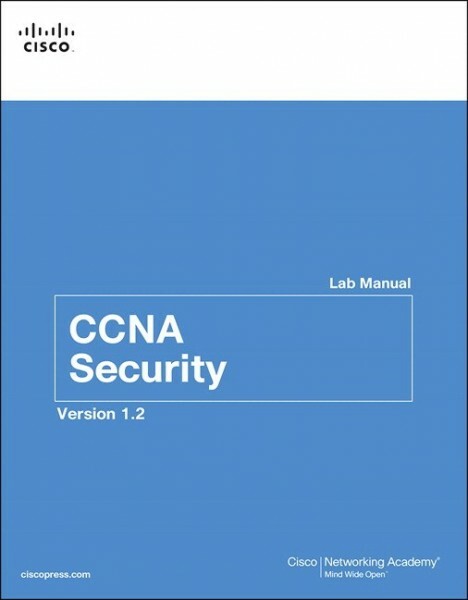 The CCNA Security Lab Manual provides you with all 16 labs from the course designed as hands-on practice to master the knowledge and skills needed to prepare for entry-level security specialist careers. All the hands-on labs in the course can be completed on actual physical equipment or in conjunction with the NDG NETLAB+® solution. For current information on labs compatible with NETLAB+® go to http://www.netdevgroup.com/content/cnap/.